We're your local heating engineers based in Worlaby, North Lincolnshire and the service we offer is polite, honest and flexible. We pride ourselves on our good relationship with our customers and on being tidy and organised. We know and appreciate how important your property is to you and we will accord it the respect that it deserves. All we will leave behind us is excellent workmanship for you and your family to enjoy for years to come. Commercial and Domestic Gas work carried out. 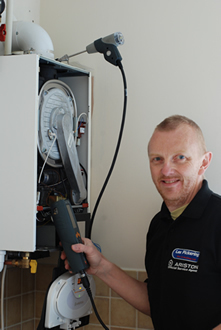 We are official Ariston and Chaffoteaux service engineers with 10 years experience.